Feel the island breezes through the rustling palms. Your Maui Schooner vacation ownership resale or rental is your tropical escape from your daily grind. Known as the Gold Coast of Maui, the island’s southwest shore has year-round water temperatures in the eighties. Golfers already know the legendary courses of Maui, from the Kaanapali Golf Course Resort, to the Dunes at Maui Lanai, to the King Kamehameha Golf Club, to name only a few. Here in Maui, the weather is almost always perfect for golf. If you love the game or have ever thought about taking it up, the courses of Maui will inspire you to book a tee time or schedule a lesson and sharpen your skills. This Maui timeshare resort is designed around a central courtyard area that includes the pool, whirlpool spa, sundeck, and shuffleboard courts. Onsite amenities include barbeque grills, free Wi-Fi, elevators, a putting green, in-suite safes, and the Paradise Activities desk to help you make the most of your Hawaii timeshare vacation. Swim and sun on the expansive beach or plan a sport fishing outing. You can also enjoy nearby bike trails, live entertainment and restaurants, grocery stores and other shopping, playgrounds, and a marina and boat launch area, all within minutes of your Maui Schooner vacation ownership condo. 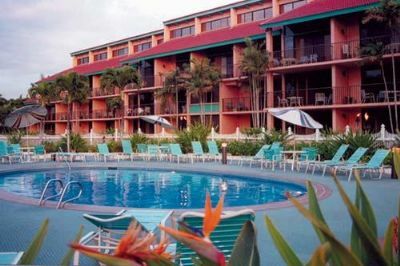 The resort is located only ten miles from the Kahului/OGG airport, the largest of the three airports on the island and the facility offering the most car rental options. Other airports on the island are near Kapaalua and Hana. Private and serene, the timeshare villas for sale at the Maui Schooner vacation ownership resort afford you a choice of a one-, two-, or three-bedroom unit, all with well-equipped kitchens that include a dishwasher and a microwave. The condo-style timeshares are air conditioned, have a television(s) and a DVD player, beach chairs and towels for your convenience, and an in-unit washer and dryer. The Maui Schooner has a total of 63 vacation ownership condos, with 23 one-bedroom units designed to accommodate up to four vacationers, 34 two-bedroom units designed for six vacationers, and 3 extra-large three-bedroom units that comfortably sleep up to 8 people. Contact Maui Schooner Specialist Today!